Meet Izzy! 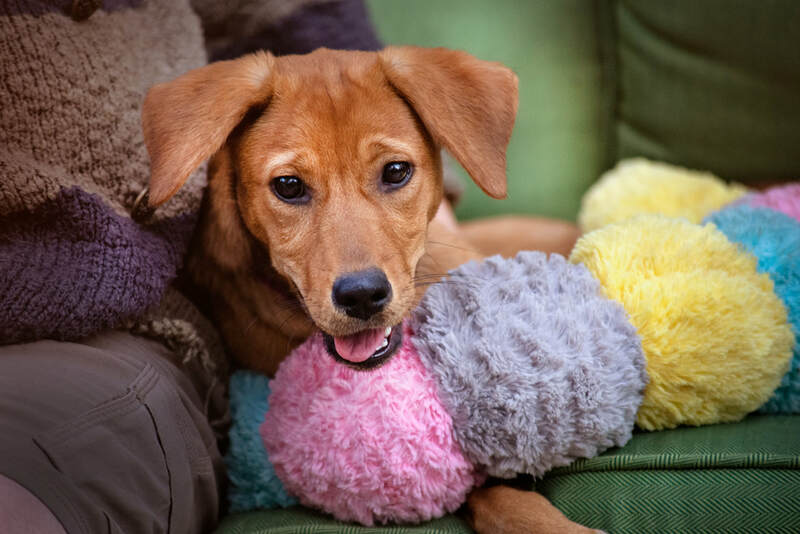 This cute little lab mix girl was dumped in rural Texas, taken to an overcrowded shelter... and her future was looking grim. Luckily SDR had a foster who committed - and Izzy got to pack her bags outta there. She’s now safe and sound in a great foster home in Boulder, and looking for her forever people! She lives with 2 cats and 2 dogs and 15 teenagers (okay, well one teenager and all his friends who visit).... she loves everyone who comes over and all she wants to do is play. Her puppy play does include a lot of mouthing, so it is critical to have lots of toys and chews to stuff in that mouth when interacting with her. Like all things puppy, this will subside with time and patience. Izzy crates well, but needs adequate exercise multiple times a day. Her ideal home would be with another playful dog, or a very active person who could throw the ball for her and play tug. She tries to get the cats to play and she is incessantly trying to get the senior dogs in the home to play, so a senior dog might not appreciate her 'joie de vivre'. She definitely had a very rough start to life, but with love and kindness she is blossoming into a wonderful, trusting girl who enjoys every minute of every day. She is 5 months old, 20 lbs. and cute as a button. For more info and/or to apply to adopt Izzy, go to the top toolbar, click Adopt, click Dog Application; then fill it out and send it in. A volunteer from Summit Dog Rescue will get back to you as soon as they can.